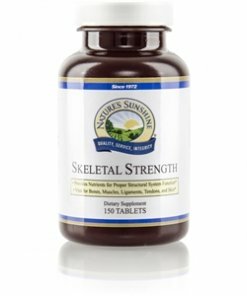 Nature’s Sunshine Skeletal Strength® nourishes the structural system with key nutrients that assist in maintaining bones, muscles, ligaments, tendons, and skin. 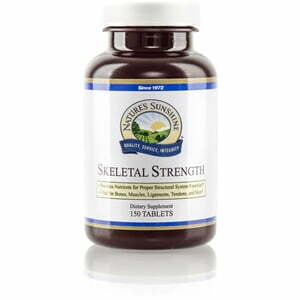 Calcium, magnesium, iron, manganese, vitamin A, vitamin D, vitamin C, vitamin B6, and vitamin B12 join forces in this powerful formula to strengthen bones and muscles and manufacture substances important to structural function. Skeletal Strength also regulates the nervous system.